Members of HANTSAR’s water rescue team recently attended an intensive 4/5-day water rescue technicians course on the River Dart in Devon. 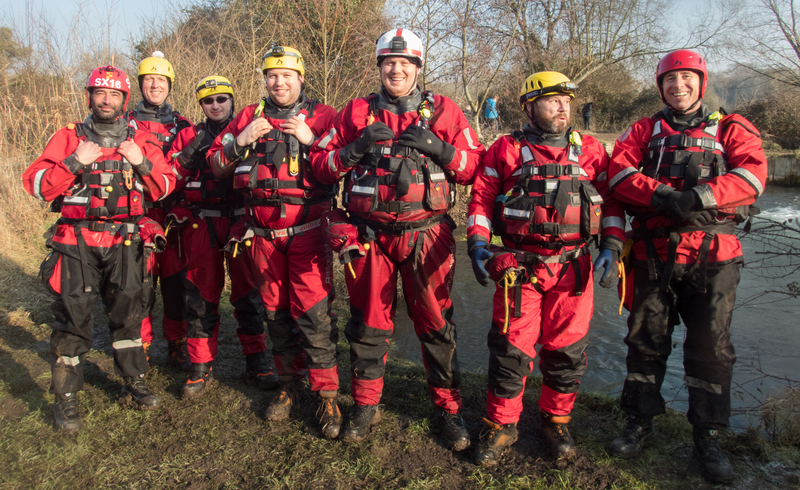 They achieved Level 3 water rescue qualification that up-skilled them to technical rescue in water or unstable surface environment such as mud or ice. In addition, the Water lead achieved level 4 Instructor status. The course covered detailed theory training in hydrology and the planning and executing of rescues but focused more on practical applications in the form of advanced swimming in grade 2 and 3 water, the use of rope systems in rescues and using non-powered inflatable craft.